Thanks to aji tamago, the old hardboiled eggs have been ruined. Goodbye to pasty bland eggs and hello to silky oozing yolks with whites that jiggle ever so slightly with the lightest touch. Suddenly, I find noodles absent of soft-boiled eggs incomplete. 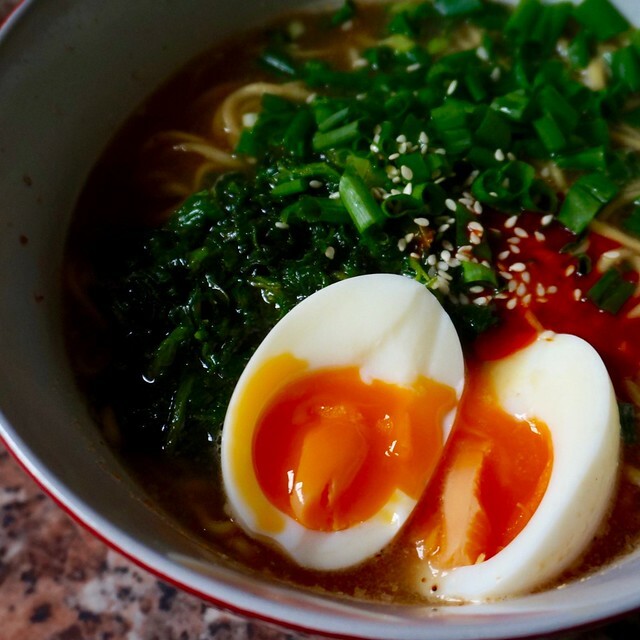 I want all the noodles I eat, even the ones I cook at home, to have eggs with runny yolks. Since then, it’s runny yolks or bust. Little did I know that bringing this egg home will lead me to a three-year journey of cracked shells, broken yolks, and disappointed noodles. I’ve learned a lot along the way and now I’m more than happy to share how I make my boiled eggs.